Promold Plastics specializes in custom injection molding and mold making. We have been in business since 1967 serving the Medical, Electronic, Automotive, Industrial and Consumer Industries. We provide our customers with a one-stop solution for all of their custom designed plastic product applications. Making sure you have a cost effective and feasible plastic product design is critical to a successful outcome within budget. Our goal is to make sure our customers are ready to move forward before investing a dime in the development process. The injection mold is probably the biggest investment you will make in developing your product and one of the most critical in ensuring that consistent quality parts are delivered at a low cost and able to keep up with your demand requirements. Whatever budget you have, we will design and build the best mold possible to meet your needs. Quality starts with a robust process. While we can validate any molding machine we also take a more comprehensive holistic approach to Process Qualification taking a look at all the elements that can affect product variation and quality and focus our attention on these areas to perform closer monitoring and implement better controls if practical. Quality starts with a robust process. While we can validate any molding machine we also take a more comprehensive holistic approach to Process Qualification taking a look at all the elements that can affect product variation. When we focus our attention on these areas, we are able to identify the weakest link in the process which allows us to perform closer monitoring and implement better controls when practical. Whether you are looking for 5 or 5 million parts a year our equipment, business infrastructure and management systems can cost effectively accommodate orders of any size. From manufacturing to distribution, streamlining your supply chain is critical to reducing and controlling costs. In addition to injection molding and inventory management, we offer decorating, labeling, assembly, packaging and fulfillment services. Many of our customers find it more cost-effective to outsource the manufacturing of their plastic components so they can focus their time and energy on developing new products. We have a complete quality inspection lab equipped with the latest measuring equipment. We utilize the latest statistical quality techniques for some of the most demanding customers. Our customers range in size from small independently owned organizations to global fortune 500 companies. We currently manufacture all of our products domestically and ship world-wide. On the surface, Promold Plastics may look similar to other successful injection molding companies, but the real difference is in our management philosophy which empowers our people to continually improve our systems and process in a way that creates more value for our customers. 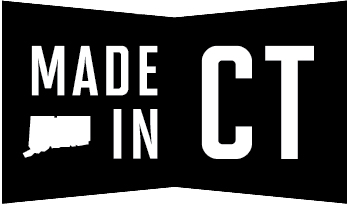 Promold Plastics is conveniently located in central Connecticut with easy access to all major highways and within approximately a 30-minute drive to Bradley International Airport.